I guess you could say I’m a big, avid enthusiast for Korean beauty and skincare products. With new Korean skincare and beauty products being curated into Sephora daily, I wanted to take the time to round up a list of my favorite Sephora K-beauty picks to purchase next time you’re in-store or shopping online. Now that we have the details, let’s get to the Sephora K-beauty product recommendations! This NeoGen cleanser is a gentle yet effective foaming cleanser that contains fermented green tea extract. I love this as my second cleanse! It removes traces of oil cleanser and cleanses my skin without stripping it dry. Be careful not to get this in your eyes because it will sting. I generally prefer solid cleansing balms/oils to remove my makeup and this one is no exception. The solid texture melts into your skin as it breaks down stubborn makeup. It has an herbal clean scent that feels refreshing. Another cleansing foam that doesn’t dry out the skin. This cleansing foam contains beads of vitamin E that moisturize your skin while cleansing. The vitamin E helps to keep your skin from getting stripped and dried-out the way most foaming cleansers will leave your skin. Must have! I love this little gauze pads. The perfect double exfoliator because it combines physical exfoliation from the bumpy gauze with chemical exfoliation from the AHAs in the solution. The lemon pads are my favorite due to their brightening power while the green tea pads are great for combating pre-mature aging. This is a powder formula peel that activates with water to gently removes dead skin cells. The key ingredient in this is the papaya enzymes that work to brighten and exfoliate the skin. Also available in a mini size here. This is an adorable light pink hydrogel mask infused with the signature Watermelon Glow serum. I love hydrogel masks because they fit the contours of the face better and don’t dry out as fast as traditional cotton masks. 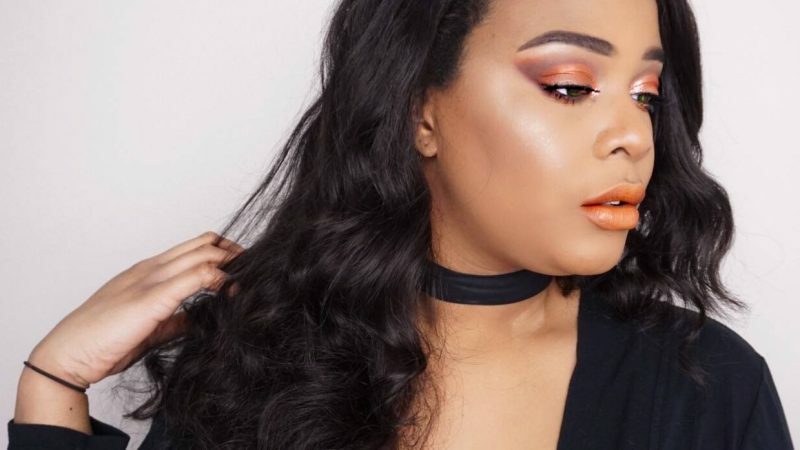 The mask comes in two pieces (top half of face and bottom half of face) which allows you customize your fit and get the best coverage for your face shape. Dr. Jart makes some amazing sheet masks! Their mask collection is expansive with different textures and ingredients. Literally, a mask for every skin concern under the sun! A few of my favorites include the Water Replenish mask, the Pore Minimalist mask, and the Brightening Infusion mask. I seriously pick one of these masks up every time I shop at Sephora. I featured one the Dr. Jart masks in my 7 Skincare Steps to Combat Dehydrated Skin post. They are great staples to have whenever you want some me-time or a quick facial. A new discovery for me! This “patting water mask” is a concentrated mask formula for use in the shower. This type of mask was inspired by the Korean bathhouse tradition of splashing botanical-steeped water on the skin after cleansing to tone and brighten. Perfect for “lazy” or busy maskers because you can splash this mask on quickly while in the shower. Energy Yellow Citrus & Honey for toning and vitalizing. Soothing & Healing Green Tea for oil control and pore care. One of my most repurchased masks! This is a bio-cellular mask with amazing brightening properties. Bio-cellulose material is thin and adheres to the skin very well. This mask combines pumpkin fruit extract and 24k gold to moisturize, brighten, and improve skin texture. The Dr. Jart Shake and Shot masks also come in a 4-pack so you can try them all! This has been on my list for a while. I originally learned about this product from Glow Recipe and Shark Tank. The pressed serum is a serum and moisturizer hybrid. Seems like such an interesting concept so here it is on my to-buy list! This Tundra Changa serum is known for lasting hydration due to its blend of fermented oils— including olive and argan— and tundra chaga mushrooms. 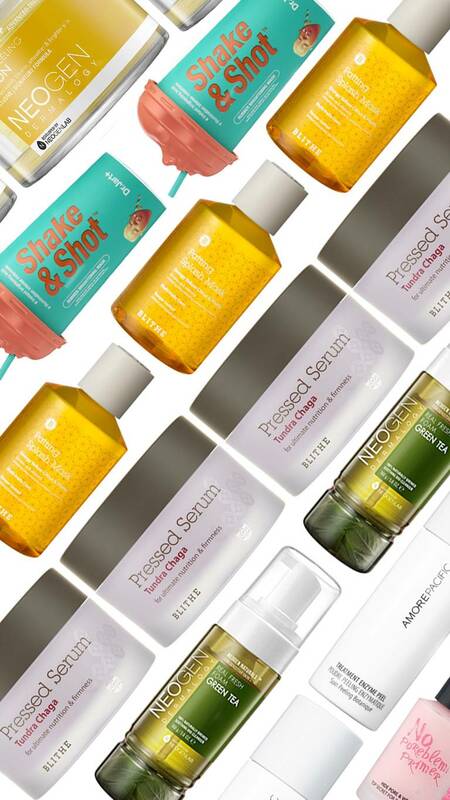 Essence is the main word you hear when talking about Korean skincare. This gel-textured essence sinks into skin to hydrate and improve texture. The hydrating essence is formulated with five different root extracts each chosen for their properties to brighten, tighten, and improve texture. This essence helps your other skincare products sink in better and adds an extra layer of moisture. Classic staple moisturizer. All around great moisturizer with no bad ingredients. Aqua Bomb is seen at the top of many “best Korean products” lists. I’ll be picking up the full size of this moisturizer after going through many samples! I’ve fallen in love with the Pumpkin Sheet Mask so I want to add this into my routine as well. This overnight treatment mask moisturizes and resurfaces your skin while you sleep. It is packed with superfood pumpkin, vitamin C, and papaya extract. Can’t wait to add this to my other pumpkin skincare favorites. Great value for a great primer! Rivals many high-end primers. Applies smoothly with an almost serum like texture to minimizes pores. Technically, this is product belongs in the cleansing step because it is a cleansing water but I love this as a pre-makeup step to freshen up my skin before primer. The papaya extract helps remove any lingering impurities and dead skin without the need to scrub or rinse! How full is your shopping cart now? 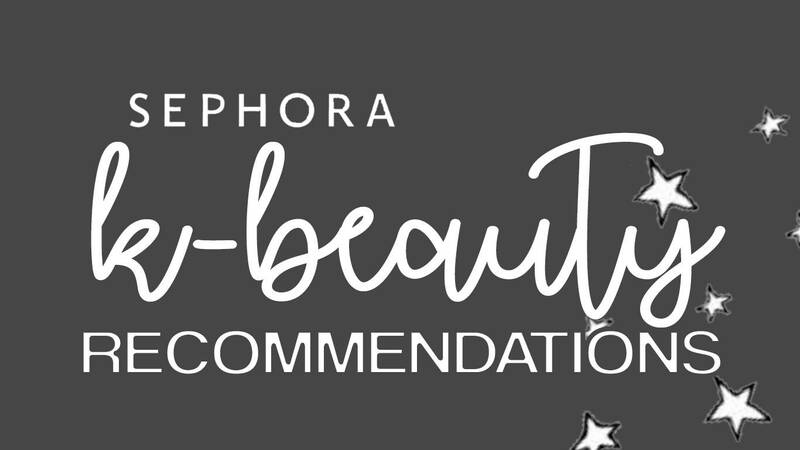 Hope you enjoyed my Sephora K-beauty product recommendations! You may notice the same brands being repeated over and over. Sorry about that, Sephora only has a few brands in their K-Beauty Section. For More K-Beauty finds, you can check out Wishtrend, Soko Glam, or YesStyle. 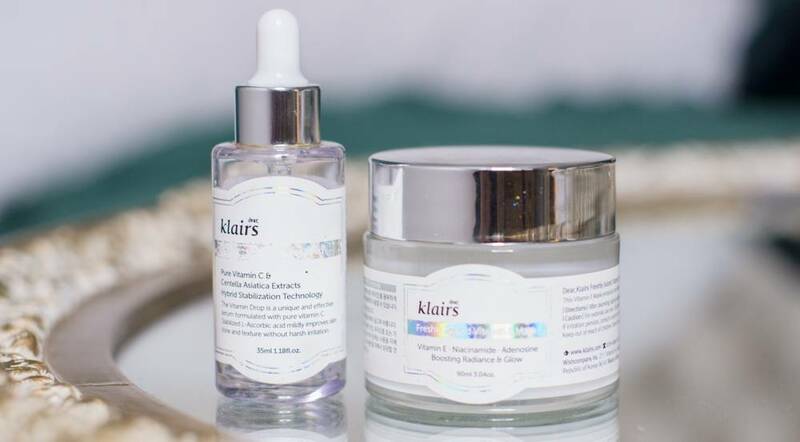 These sites usually hosts k-beauty sales of their own. That NeoGen Green Tea Cleansing Foam cleanser sounds really good. I’d love to try it. Thanks for sharing dear! These all sound like really great products! Pumpkin is a favorite of mine but I’ve never tried any pumpkin skincare before. I’ll have to be on the lookout for that sheet mask and sleeping pack. Thank you for the recommendations!